Transform Peel is 35 year program designed to create new industries, more jobs and better living through innovation for people in the Peel region. Comprised of three integrated, strategic elements: the Peel Food Zone, a Peel Business Park and the Peel Integrated Water Initiative. The Transform Peel program is located in the Murray Shire of the Peel region and is devised, developed and delivered by the Peel Development Commission. 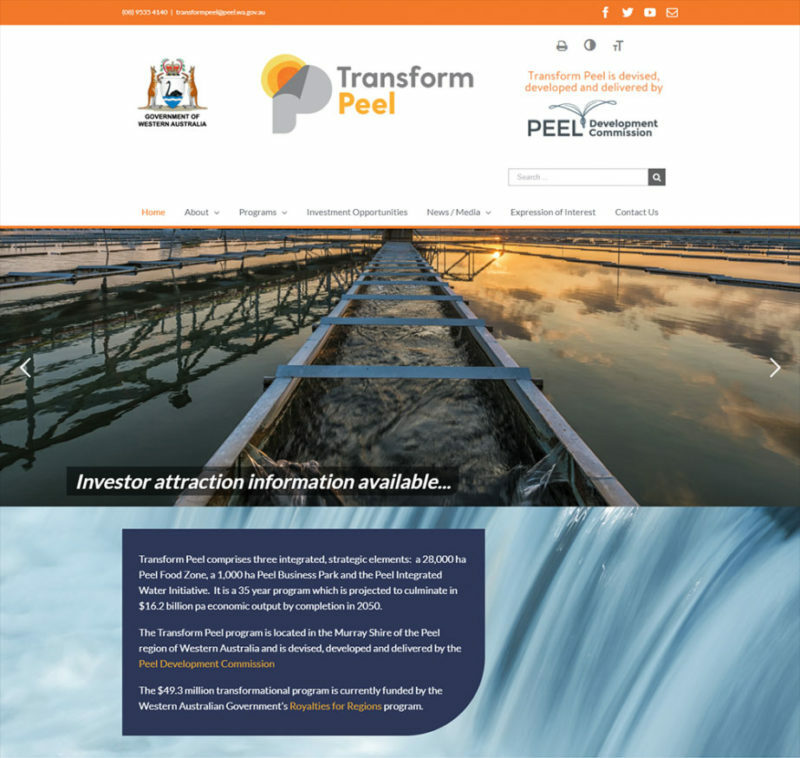 The Transform Peel website was designed with Australian government web standards & guidelines in mind, including features for accessibility – screen reader friendly and toggle-able visibility options. The website operates on a content management system including a blog feature allowing for self-managed community updates and media releases.